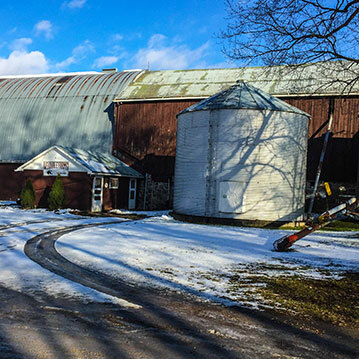 Built in 1860 and purchased in 1919 by the Kellogg family, this barn used to house cattle and horses. Following the 1975 renovations, upgrades and additions have taken place creating an attractive L enclosure that is home to dairy cattle. 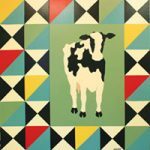 Holsteins and the reference to cream are prominent on this quilt board.